Kobya M., Gengec E., Demirbas E., Tekbas G., Treatments of alkalıne non-cyanıde, alkalıne cyanıde and acıdıc zınc electroplatıng processes wastewaters by electrocoagulatıon, International Journal of Environmental Science and Technology, ? (2016) ?. Kobya M., Sık E., Demirbas E., Goren A.Y., Oncel M.S., Optimızation of some cations for removal of arsenic from groundwater by electrocoagulation process, Environmental Engineering and Management Journal, ? (2016) (in press). Kobya M., Demirbas E., Ulu F., Evaluation of operating parameters with respect to charge loading on the removal efficiency of arsenic from potable water by electrocoagulation, Journal of Environmental Chemical Engineering, 4 (2016) 1484-1494. Kobya M., Gengec E., Demirbas E., Operating parameters and costs assessments of a real dyehouse wastewater effluent treated by a continuous electrocoagulation process, Chemical Engineering and Processing, 101 (2016) 87-100. Ulu F., Barisci S., Kobya M., Sillanpaa M., An Evaluation on different origins of natural organic matters using various anodes by electrocoagulation, Chemosphere, 125 (2015) 108-114. Simsek H., Kobya M., Khan E., Bezbaruah A.N., Removal of aqueous cyanide with strongly basic ion-exchange resins, Environmental Technology, 36 (2015) 1612-1622. Kobya M., Ozyonar F., Demirbas E., Sık E., Oncel M.S., Arsenic removal from groundwater of Sivas-Şarkişla Plain, Turkey by electrocoagulation process: Comparing with iron plate and ball electrodes, Journal of Environmental Chemical Engineering, 3 (2015) 1096–1106. Sık E., Kobya M., Demirbas E., Oncel M.S., Goren A.Y., Removal of As(V) from groundwater by a new electrocoagulation reactor using Fe ball anodes: optimization of operating parameters, Desalination and Water Treatment, 56 (2015) 1177-1190. Kobya M., Erdem N., Demirbas E., Treatment of Cr, Ni and Zn from galvanic rinsing wastewater by electrocoagulation process using iron electrodes, Desalination and Water Treatment, 56 (2015) 1191-1201. Kobya M., Demirbas E., Evaluations of operating parameters on treatment of can manufacturing wastewater by electrocoagulation, Journal of Water Process Engineering, 8 (2015) 64-74. Ulu F., Barisci S., Kobya M., Sarkka H., Sillanpaa M., Removal of humic substances by electrocoagulation (EC) process and characterization of floc size growth mechanism under optimum conditions, Separation and Purification Technology, 133 (2014) 246-253. Kobya M., Oncel M.S., Demirbas E., Sık E., Akyol A., Ince M., The application of electrocoagulation process for treatment of the red mud dam wastewater from Bayer’s process, Journal of Environmental Chemical Engineering, 2 (2014) 2211-2220. Kobya M., Gengec E., Sensoy M.T., Demirbas E., Treatment of textile wastewater by electrocoagulation using Fe and Al electrodes: Optimisation of operating parameters using central composite design, Coloration Technology, 130 (2014) 226-235. Kobya M., Akyol A., Demirbas E., Oncel M.S., Removal of arsenic from drinking water by batch and continuous electrocoagulation processes using hybrid Al-Fe plate electrodes, Environmental Progress and Sustainable Energy, 33 (2014) 131-140. Oncel M.S., Muhcu A., Demirbas E., Kobya M., A comparative study of chemical precipitation and electrocoagulation for treatment of coal acid drainage wastewater, Journal of Environmental Chemical Engineering, 1 (2013) 989-995. Gengec E., Kobya M., Treatment of baker’s yeast wastewater by electrocoagulation and evaluation of molecular weight distribution with HPSEC, Separation Science and Technology, 48 (2013) 2880-2889. Akyol A., Can O.T., Demirbas E., Kobya M., A comparative study of electrocoagulation and electro-Fenton for treatment of wastewater from liquid organic fertilizer plant, Separation and Purification Technology, 112 (2013) 11-19. Kobya M., Demirbas E., Gebologlu U., Oncel M.S., Yildirim Y., Optimization of arsenic removal from drinking water by electrocoagulation batch process using response surface methodology, Desalination and Water Treatment, 51 (2013) 6676-6687. Kobya M., Gengec E., Decolourization of melanoidins by a electrocoagulation process using aluminium electrodes, Environmental Technology, 33 (2012) 2429-2438. Gengec E., Kobya M., Demirbas E., Akyol A., Oktor K., Optimization of baker’s yeast wastewater using response surface methodology by electrocoagulation, Desalination, 286 (2012) 200-209. Gengec E., Kobya M., Demirbas E., Akyol A., Oktor K., Electrochemical treatment of Baker’s yeast wastewater containing melanoidin: Optimization through response surface methodology, Water Science and Technology, 65 (2012) 2183-2190. Kobya M., Demirbas E., Sahin O., Effect of operational parameters on the removal of phenol from aqueous solutions by electrocoagulation using Fe and Al electrodes, Desalination and Water Treatment, 46 (2012) 366-374. Kobya M., Ulu F., Oncel S., Demirbas E., Removal of arsenic from drinking water by the electrocoagulation using Fe and Al electrodes, Electrochimica Acta, 56 (2011) 5060-5070. Kobya M., Ulu F., Gebologlu U., Demirbas E., Oncel M.S., Treatment of potable water containing low concentration of arsenic with electrocoagulation: Different connection modes and Fe–Al electrodes, Separation and Purification Technology, 77 (2011) 283-293. Kobya M., Demirbas E., Bayramoglu M., Sensoy M.T., Optimization of electrocoagulation process for the treatment of metal cutting wastewaters with response surface methodology, Water, Air and Soil Pollution, 215 (2011) 399-410. Kobya, M., Demirbas E., Parlak, N.U., Yigit, S., Treatment of cadmium and nickel electroplating rinse water by electrocoagulation, Environmental Technology, 31 (2010) 1471-1481. Kobya M., Demirbas E., Sozbir M., Decolorisation of aqueous reactive dye Remazol Red 3B by electrocoagulation, Coloration Technology, 126 (2010) 282-288. Arslan-Alaton I., Gursoy B.H., Akyol A., Kobya M., Bayramoglu M., Modeling and optimization of acid dye manufacturing wastewater treatment with Fenton’s reagent: comparison with electrocoagulation treatment results and effects on activated sludge inhibition, Water Science and Technology, 62 (2010) 209-216. Kobya M., Demirbas E., Dedeli A., Sensoy M.T., Treatment of rinse water from zinc phosphate coating by batch and continous electrocoagulation processes, Journal of Hazardous Materials, 173 (2010) 326-334. Kobya M., Demirbas E., Akyol A., Electrochemical treatment and operating cost analysis of textile wastewater using sacrificial iron electrodes, Water Science and Technology, 60 (2009) 2261-2270. Arslan-Alaton I., Kobya M., Akyol A., Bayramoglu M., Electrocoagulation of azo dye production wastewater with iron electrodes: Process evaluation by multi-response central composite design, Coloration Technology, 125 (2009) 234-241. Dizge N., Demirbas E., Kobya M., Removal of thiocyanate from aqueous solutions by ion exchange, Journal of Hazardous Materials, 166 (2009) 1367-1376. Demirbas E., Dizge N., Sulak M.T., Kobya M., Adsorption kinetics and equilibrium of copper from aqueous solutions using hazelnut shell activated carbon, Chemical Engineering Journal, 148 (2009) 480-487. Kobya M., Delipinar S., Treatment of the Baker's yeast wastewater by electrocoagulation, Journal of Hazardous Materials, 154 (2008) 1133-1140. Demirbas E., Kobya M., Sulak M.T., Adsorption kinetics of a basic dye from aqueous solutions onto apricot stone activated carbon, Bioresource Technology, 99 (2008) 5368-5373. Demirbas E., Kobya M., Konukman A.E.S., Error analysis of equilibrium studies for the almond shell activated carbon adsorption of Cr(VI) from aqueous solutions, Journal of Hazardous Materials, 154 (2008) 787-794. Kobya M., Ciftci C., Bayramoglu M., Sensoy M.T., Study on the treatment of waste metal cutting fluids using electrocoagulation, Separation and Purification Technology, 60 (2008) 285-291. Dizge N., Aydiner C., Demirbas E., Kobya M., Kara S., Adsorption of reactive dyes from aqueous solutions by fly ash: Kinetic and equilibrium studies, Journal of Hazardous Materials, 150 (2008), 737-746. Sulak M.T., Demirbas E., Kobya M., Removal of Astrazon Yellow 7GL from aqueous solutions by adsorption onto wheat bran, Bioresource Technology, 98 (2007) 2590-2598. Kobya M., Bayramoglu M., Eyvaz M., Techno-economical evaluation of electrocoagulation for the textile wastewater using different electrode connections, Journal of Hazardous Materials, 148 (2007) 311-318. Bayramoglu M., Eyvaz M., Kobya M., Treatment of the textile wastewater by electrocoagulation: Economical evaluation, Chemical Engineering Journal, 128 (2007) 155-161. Karagozoglu B., Tasdemir M., Demirbas E., Kobya M., The adsorption of basic dye (Astrazon Blue FGRL) from aqueous solutions onto sepiolite, fly ash and apricot shell activated carbon: Kinetic and equilibrium studies, Journal of Hazardous Materials, 147 (2007) 297-306. Kara S., Aydiner C., Demirbas E., Kobya M., Dizge N., Modeling the effects of adsorbent dose and particle size on the adsorption of reactive textile dyes by fly ash, Desalination, 212 (2007) 282-293. Bayramoglu M., Kobya M., Eyvaz M., Senturk E., Technical and economic analysis of electrocoagulation for the treatment of poultry slaughterhouse wastewater, Separation and Purification Technology, 51 (2006) 404-408. Kobya M., Senturk E., Bayramoglu M., Treatment of poultry slaughterhouse wastewaters by electrocoagulation, Journal of Hazardous Materials, 133 (2006) 172-176. Dogan O., Kobya M., Elemental analysis of trace elements in fly ash sample of Yatağan thermal power plants using EDXRF, Journal of Quantitative Spectroscopy and Radiative Transfer, 101 (2006) 146-150. Kobya M., Demirbas E., Can O.T., Bayramoglu M., Treatment of levafix orange textile dye solution by electrocoagulation, Journal of Hazardous Materials, 132 (2006) 183-188. Kobya M., Hiz H., Senturk E., Aydiner C., Demirbas E., Treatment of potato chips manufacturing wastewater by electrocoagulation, Desalination, 190 (2006) 201-211. Can O.T., Kobya M., Demirbas E., Bayramoglu M., Treatment of the textile wastewater by combined electrocoagulation, Chemosphere, 62 (2006) 181-187. Kobya M., Demirbas E., Yesilot S., Baskaya R., Adsorption kinetics for the nitrite ions from aqueous solutions by an ion-exchange resin, Adsorption Science and Technology, 24 (2006) 131-141. Kobya M., Demirbas E., Senturk E., Ince M., Adsorption of heavy metal ions from aqueous solutions by activated carbon prepared from apricot stone, Bioresource Technology, 96 (2005) 1518-1521. Kobya M., Aydiner C., Demirbas E., Non-steady-state kinetic analysis of coupled transport of thiocyanate ions through binary liquid membranes, Desalination, 175 (2005) 237-246. Aydiner C., Kobya M., Demirbas E., Cyanide ions transport from aqueous solutions by using quaternary ammonium salts through bulk liquid membranes, Desalination, 180 (2005) 139-150. Demirbas E., Kobya M., Senturk E., Ozkan T., Adsorption kinetics for the removal of chromium (VI) from aqueous solutions on the activated carbons preapared from agricultural wastes, Water SA, 30 (2004) 533-539. Kobya M., Demirbas E., Bayramoglu M., Modelling the effects of adsorbent dose and particle size on the adsorption of Cr(VI) ions from aqueous solutions, Adsorption Science and Technology, 22 (2004) 583-594. Kobya M., Demirbas E., Demircioglu N., Yildirim Y., Yildiz Y.S., Effect of carrier type on coupled transport kinetics of thiocyanate ions through liquid membranes, Desalination, 160 (2004) 253-262. Bayramoglu M., Kobya M., Can O.T., Sozbir M., Operating cost analysis of electrocoagulation of textile dye wastewater, Separation and Purification Technology, 37 (2004) 117-125. Kobya M., Removal of Cr(VI) from aqueous solutions by adsorption onto hazelnut shell activated carbon: kinetic and equilibrium studies, Bioresource Technology, 91 (2004) 317-321. Kobya M., Adsorption kinetic and equilibrium studies of Cr(VI) by hazelnut shell activated carbons, Adsorption Science and Technology, 22(2004) 51-64. Kobya M., Can O.T., Bayramoglu M., Treatment of textile wastewaters by electrocoagulation using iron and aluminum electrodes, Journal of Hazardous Materials, 100 (2003) 163-178. Can O.T., Bayramoglu M. Kobya M., Decolorization of reactive dye solutions by electrocoagulation using aluminum electrodes, Industrial and Engineering Chemistry Research, 42 (2003) 3391-3396. Yildirim Y., Demircioglu N., Kobya M., Bayramoglu M., A mathematical modeling of sulphur dioxide pollution in Erzurum city, Environmental Pollution,118 (2002) 411-417. Demirbas E., Kobya M., Öncel S., Sencan S., Removal of Ni(II) from aqueous solution by adsorption onto hazelnut shell activated carbon: equilibrium studies, Bioresource Technology, 84 (2002) 291-293. Kobya M., Demirbas E., Oncel M.S., Sencan S., Adsorption kinetic models applied to nickel ions on hazelnut shell activated carbons, Adsorption Science and Technology, 20 (2002) 179-188. Dogan O., Simsek O., Ertugrul M., Kobya M., x-ray fluorescence spectrometry analysis of trace elements in fly ash samples of Yeniköy Termal Power Plants, Instrumentation Science and Technology, 29 (2001) 433-439. Dogan O., Simsek O., Nuhoglu Y., Kobya M., Ertugrul M., X-ray fluorescence spectrometry analysis of trace elements in fly ash samples of Kemerköy Termal Power Plants, Journal of Trace Microprobe Techniques, 19 (2001) 289-295. Demircioglu N., Levent M., Kobya M., Topcu N., Kinetic analysis of coupled transport of nitrite ions through liquid membranes at different temperatures, Filtration and Separation, 37 (2000) 51-56. Aydiner C., Kobya M., Koyuncu I., Coupled transport of cyanide ions through liquid membranes, Water Science and Technology, 41 (2000) 125-133. Demircioglu N., Topcu N., Levent M., Kobya M., Kocadagistan E., Effect of stirring speed on coupled transport of nitrate ions through liquid membranes, Bioprocess Engineering, 22 (2000) 309-314. Demircioglu N., Levent M., Kobya M., Topçu N., The efefects of stirring speed on coupled transport of nitrite ions through liquid membranes, Chemical and Biochemical Engineering Quarterly, 14 (2000) 109-116. Kobya M., Topcu N., Demircioglu N., Kinetic analysis of coupled transport of thiocyanate ions through liquid membranes at different temperatures, Journal of Membrane Science, 130 (1997) 7-15. Kobya M., Ertugrul M., Dogan O., Simsek O., Analysis of titanium and zirconium in red mud with energy dispersive x-ray spectrometry, Instrumentation Science and Technology, 24 (1997) 277-282. Ertugrul M., Kobya M., Dogan O., Radioisotope x-ray fluoresence analysis of some elements in fly ash of Afsin-Elbistan Power Plants, Journal of Radioanalytical and Nuclear Chemistry, 203(1996) 119-123. Ulu F., Gengec E., Kobya M., Humic acid removal from aqueous solution by fixed-bed electrocoagulation reactor using Al ball anodes, 13th International Conference on Protection and Restoration of the Environment, 3rd to 8th July, 2016, Mykonos island, Greece, p. 80-85. Gengec E., Kobya M., Affinity of electrocoagulation process on hydrophobic/hydrophilic fraction of Baker’s yeast wastewater, 13th International Conference on Protection and Restoration of the Environment, 3rd to 8th July, 2016, Mykonos island, Greece, p. 72-79. Kobya M., Demirbas E., An evaluation of performance and operating cost by chemical coagulation and electrocoagulation processes for treatment of metalworking wastewaters, EurAsia Waste Management Symposium 2016 (EurAsia 2016), 2-4 May, 2016, Istanbul, Turkey, p. 267-274. Şık E., Gengeç E., Kobya M., Demirbas E., Oncel M.S., Effect of anions on arsenic removal from groundwater by air feed electrocoagulation reactor using iron ball anodes, International Conference on Civil and Environmental Engineering (ICOCEE Cappadocia 2015), Nevşehir-Turkey, 20-23 May 2015, p. 499-508. Gengeç E., Kobya M., Monitoring molecular weight distribution by HPSEC with ultraviolet diode array and refractive index detectors in biologically treated bakery yeast wastewater, International Conference on Civil and Environmental Engineering (ICOCEE Cappadocia 2015), Nevşehir-Turkey, 20-23 May 2015, p. 126. Gengec E., Isgoren M., Kobya, M., Veli S., Optimization by central composite design of a new composite absorbent (Beidellite/Polyaniline) production for absorption of acid yellow 194, International Conference on Advances in Composite Materials and Structures (CACMS 2015), 13-15 April 2015, Istanbul, Turkey. Gengec E., Kobya M., Can O.T.,Akyol A., Photocatalytic oxidation of benzoquinone in aquous ZnO suspansions, The 2nd International Conference on Recycling and Reuse, June 4-6, 2014, Istanbul-Turkey, p.53-54. Kobya M., Ozyonar F., Demirbas E., Sık E., Oncel M.S., Removal of arsenic from Sivas-Şarkışla Plain groundwaters by fixed bed electrocoagulation reactor using iron ball anodes, The 2nd International Conference on Recycling and Reuse, June 4-6, 2014, Istanbul-Turkey, p.9-10. Demirbas E., Özgürses B., Kobya M., Akyol A., Can O.T., The treatment of phenol formaldehyde production wastewater by successive electrochemical processes, The 2nd International Conference on Recycling and Reuse, June 4-6, 2014, Istanbul-Turkey, p.7-8. Kobya M., Demirbas E., Oncel M.S., Yıldırım Y., Sık E., Goren A.Y., Akyol A., Modeling and optimization of arsenite removal from groundwater using Al ball anodes by electrocoagulation process, 2nd International Conference on Environmental Science and Technology (ICOEST’2014-Side), 14-17 May 2014, Antalya-Side/Turkey, p. 357-359. Ulu F., Barışçı S., Kobya M., Sakka H., Sillanpaa M., Batch electrocoagulation reactor for natural organic matter removal from synthetic and real water samples, 2nd International Conference on Environmental Science and Technology (ICOEST’2014-Side), 14-17 May 2014, Antalya-Side/Turkey, p. 134-136. Akyol A., Kobya M., Ulu F., Can O.T., Photocatalytic oxidation of benzoquinone in aqueous ZnO suspansions, 2nd International Conference on Environmental Science and Technology (ICOEST’2014-Side), 14-17 May 2014, Antalya-Side/Turkey, p. 110-112. Kobya M., Sık E., Demirbas E., Goren A.Y., Oncel M.S., Effect of Ca, Mg, Fe and Mn cations on arsenic removal from groundwater by electrocoagulation process using iron ball anodes, The 2nd International Conference on Water Energy and Environment (ICWEE’13), 21-24 September 2013, Kusadasi-Turkey, p.56-57. Kobya M., Erdem N., Demirbas E., Removal of Cr, Ni and Zn from galvanic rinsing wastewater by electrocoagulation process using iron electrodes, The 4th Conference on Environmental Management, Engineering, Planning and Economics (CEMEPE) and SECOTOX Conference, June 24-28, 2013, Mykonos island, Greece, p. 273-278. Sık E., Kobya M., Demirbas E., Oncel M.S., Goren A.Y., Removal of As(V) from groundwater by a new electrocoagulation reactor using Fe ball anodes: Optimization of operating parameters, The 4th Conference on Environmental Management, Engineering, Planning and Economics (CEMEPE) and SECOTOX Conference, June 24-28, 2013, Mykonos island, Greece, p. 267-272. Kobya M., Demirbas E., Sensoy M.T., Akyol A., Askin S., Treatment of exhausted dyebath effluents from textile dyeing process by continous electrocoagulation, International Conference on Recycling and Reuse, 4-6, June 2012, İstanbul-Turkey, p. 341-342. Ozyonar F., Karagozoglu B., Kobya M., Air stripping of ammonia from coke wastewater, International Iron and Steel Symposium, 2-4 April 2012, Karabük-Turkey, p. 1080-1086. Topcu-Sulak M., Akyol A., Demirbas E., Kobya M., Treatment of cooling wastewaters from iron and steel industry by electrocoagulation process, International Iron and Steel Symposium, 2-4 April 2012, Karabük-Turkey, p. 1087-1093. Gengec E., Kobya M., Demirbas E., Akyol A., Oktor K., Response Surface methodology for treatment of baker’s yeast wastewater by electrocoagulation, AGRO 2011 8th IWA International Symposium on Waste Management Problems in Agro-Industries, 22-24 June 2011, Çeşme-Turkey, p. 383-393. Olmez-Hanci T., Özel B.D., Kobya M., Arslan-Alaton I., Akyol A., Elucidation of the removal mechanism of NPEO in textile preparation effluent by the electrocoagulation process, AGRO 2011 8th IWA International Symposium on Waste Management Problems in Agro-Industries, 22-24 June 2011, Çeşme-Turkey, p. 661-668. Arslan-Alaton I., Gürsoy B.H., Akyol A., Kobya M., Bayramoglu M., Acid dye manufacturing wastewater treatment with Fenton’s reagent and electrocoagulation: Process modelling, optimization and effects on activated sludge inhibition, The 5th International Conference, 10th IOA-EA3G Berlin Conference, March 30-April 2 2009, Berlin 2009. Kobya M., Uzun N., Yigit S., Demirbas E., Treatment of cadmium and nickel electroplating rinse wastewater by electrocoagulation, Application of Redox Technologies in the Environment, Istanbul-Turkey, September 14-15, 2009. Demirbas, E., Kobya, M., Removal of copper ions from aqueous solution and industrial wastewaters by hazelnut shell activated carbon, Chemical Physics V, The Fifth International Conference on Chemical Physics, Yıldız Technical University, Istanbul-Turkey,Tubitak-Turkish Airlines-Yıldız Teknik Univ. Vakfı, B-2.2, 31 October-01 November, 2002. Yildirim Y., Ertugrul M., Kobya M., Öncel M.S., X-ray fluorescence spectrometry analysis of trace elements in fly ash samples of thermal power plants, Second International Symposium on Air Quality Management at Urban, Regional and Global Scales, Istanbul Technical University, Istanbul-Turkey, 25-28 September 2001, 564-570. Levent M., Demircioglu N., Kobya M., Bayhan Y.K., Kurtbas A., Kinetic analysis of coupled transport of nitrate ions through liquid membranes at different temperatures, IChemE Research 2000, United Kingdom-Bath, Bookcraft, 94-95, 6-7 January, 2000. Aydiner C., Kobya M., Koyuncu I., Coupled transport of cyanide ions through liquid membranes, International Specialized Conference on Membrane Technology in Environmental Management, Tokyo-Japan, 210-217, IAWQ, Kurita Water Industries Ltd., Novomber 1-4, 1999. Kobya M., Demirbas E., Oncel M.S., Yıldırım Y., Şık E., Goren A.Y., Akyol A., Modeling and optimization of arsenite removal from groundwater using Al ball anodes by electrocoagulation process, Journal of Selçuk University Natural and Applied Science, Special Issue-ICOEST Conference 2014-2, (ICOEST’2014, Side-Turkey, May 14-17), (2014) 808-811. Ulu F., Barışçı S., Kobya M., Sarkka H., Sillanpaa M., Batch electrocoagulation reactor for natural organic matter removal from synthetic and real water samples, Journal of Selçuk University Natural and Applied Science, Special Issue-ICOEST Conference 2014-1, (ICOEST’2014, Side-Turkey, May 14-17), (2014) 369-379. Kobya M., Sık E., Oncel M.S., Demirbas E., Goren A.Y., Yildirim Y., Removal of low concentration of As(V) from groundwater using an air injected electrocoagulation reactor with iron ball anodes: RSM modeling and optimization, Journal of Selçuk University Natural and Applied Science, Special Issue-ICOEST Conference 2013-1, (ICOEST’2014, Nevsehir-Turkey, June 18-21), (2014) 37-47. Akyol A., Can O.T., Demirbas E., Kobya M., Elektrokimyasal proses ile hümik madde içeren sıvı organik gübre üretim atıksularının arıtımı, Sakarya Üniversitesi Dergisi (SAÜ), 14 (2012) 95-103. Ozyonar F., Karagozoğlu B., Kobya M., Air stripping of ammonia from coke wastewater, Journal of Engineering Science and Technology (JESTECH), 15 (2012) 85-91. Eyvaz M., Bayramoğlu M., Kobya M., Tekstil endüstrisi atıksularının elektrokoagülasyon ile arıtılması: teknik ve ekonomik değerlendirme, İTÜ Dergisi/e-Su Kirlenmesi Kontrolü, 16 (2006) 55-65. Kobya M., Romanov A., Dimoglo A., Aydiner C., Atıksulardaki kolloidal partiküllerin elektroflotokoagülasyonla giderimi, Su Kirlenmesi Kontrolü Dergisi (SKKD), 11 (2001) 25-31. Kobya M., Demircioğlu N., Topcu N., Yildirim Y., Coupled thiocyanate ion transport trough trichloromethane liquid membranes, Chimica Acta Turcica 26 (1998) 7-12. Saraç H., Kobya İ., Kobya M., Silindirik elektrodlarda eşzamanlı iç ve dış doğal konveksiyonla kütle transferi, Gaz Üniversitesi Mühendislik Mimarlık Fakültesi Dergisi 13 (1998) 107-116. Tekin T., Demircioglu N., Kobya M., Bayramoglu M., Air quality modeling of sulphur dioxide pollution in Erzurum city, Chimica Acta Turcica 26 (1998) 69-74. Ekinci Z., Kobya M., Demircioglu N., Bayramoglu M., Cakici A., The preparation of activated carbon from hazelnut-shell for the removal of chromium (III) from wastewater, Chimica Acta Turcica 25 (1997) 165-169. Kobya M., Bayramoglu M., Demircioglu N., Cakici A., Evsel atıksu arıtma tesislerinin tasarımı ve ekonomik analizi, Su Kirlenmesi Kontrolü Dergisi (SKKD) 5 (1995) 46-52. Kobya M., Demircioglu N., Şlempenin anaerobik arıtımı ve biyogaz üretimi, İTÜ Dergisi 51 (1993) 36-40. Cakici A., Bayramoglu M., Demircioglu N., Kobya M., Kentsel atık su arıtım tesisi tasarımı ve analizi, İTÜ Dergisi 51 (1993) 41-49. Kobya M., Demircioglu N., Bayramoglu M., Atık sulardan değişik adsorplayıcılarla fosfat giderilmesi, İTÜ Dergisi 50 (1992) 56-59. Öncel M.S., Kobya M., Özaydın B., Demirbaş E., Kütahya Bölgesi yeraltısularında arsenik kirliliği ve elektrokoagülasyon ile arıtılabilirliği, 2. Tıbbi Jeoloji Sempozyumu (Uluslararası Katılımlı), 12-15 Kasım 2015, Konya-Türkiye, TMMOB Jeoloji Mühendisleri Odası, p. 81-82. Akyol A., Can O.T., Demirbas E., Kobya M., Elektrokimyasal proses ile hümik madde içeren sıvı organik gübre üretim atıksularının arıtımı, Türkiye I. Ulusal Humik Madde Kongresi, 6-9 Haziran 2012, Sakarya, 95-103. 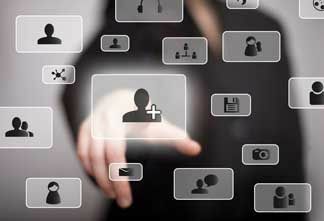 Gengec E., Kobya M., Maya endüstrisi atıksularının elektrokoagülasyonla arıtımında moleküler ağırlık dağılımının incelenmesi, Kromatografi 2012 Kongresi, 6-9 Haziran 2012, Tokat, p.12. Kobya M., Geboloğlu U., Ulu F., Oncel M.S., Demirbaş E., Elektrokoagulasyon prosesi ile içme sularından arsenik giderimi, İTÜ XII. Endüstriyel Kirlenme Kontrolü Sempozyumu, İstanbul Teknik Üniversitesi Çevre Mühendisliği Bölümü, 16-18 Haziran 2010, İstanbul, 19-27. Ölmez-Hanci T., Arslan-Alaton I., Kabdasli I., Tünay O., Kobya M., Organik kirleticilerin fotokatalitik ve fotoelektrokatalitik ileri oksidasyon prosesleri ile arıtımı, İTU Nano-Bilim ve Nano Teknoloji Çalıştayı,İstanbul Teknik Üniversitesi, 12-13 Şubat 2009, İstanbul, 31. Dedeli A., Kobya M., Şensoy M.T., Demirbaş E., Yiğit S., Çinko fosfatlama prosesi durulama atıksularının elektrokimyasal arıtımı, Çevre Sorunları Sempozyumu, Kocaeli Üniversitesi Çevre Mühendisliği Bölümü, 14-17 Mayıs 2008, Kocaeli, 384-392. Şensoy M.T., Kobya M., Bayramoğlu M., Akyol A., Tekstil atıksularının sürekli akış elektrokoagülasyon prosesi ile arıtımı, Çevre Sorunları Sempozyumu, Kocaeli Üniversitesi Çevre Mühendisliği Bölümü, 14-17 Mayıs 2008, Kocaeli, 393-401. Şensoy M.T., Kobya M., Bayramoğlu M., Akyol A., Elektrokoagülasyon ile tekstil atıksularının arıtımının yanıt yüzey metotu (RSM) ile optimizasyonu, Çevre Sorunları Sempozyumu, Kocaeli Üniversitesi-Çevre Mühendisliği Bölümü, 14-17 Mayıs 2008, Kocaeli,1312-1320. Eyvaz M., Bayramoğlu M., Kobya M., Tekstil endüstrisi atıksularının elektrokoagülasyon ile arıtılması: teknik ve ekonomik değerlendirme, X. Endüstriyel Kirlenme Kontrolü Sempozyumu, İstanbul Teknik Üniversitesi Çevre Müh. Bölümü, 7-9 Haziran 2006, İstanbul, 176-179. Eyvaz M., Kobya M., Bayramoglu M., Şentürk E., Tavuk kesimhane atıksularının elektrokoagülasyon ile arıtılması, Yedinci Ulusal Kimya Mühendisliği Kongresi, Anadolu Üniversitesi, 5-8 Eylül 2006, Eskişehir, ÇD34 1-6. Nas M.Z., Demirbaş E., Kobya M., Tekstil boyalarının sulu çözeltilerden adsorpsiyon yöntemi ile giderimi, Gebze Yüksek Teknoloji Enstitüsü (GYTE), Türkiye ‘de Çevre Kirlenmesi Öncelikleri Sempozyumu-V, 11-12 Mayıs 2006, Gebze-Kocaeli, 209-214. Şentürk E., Hanecio L., Demirbaş E., Kobya M., İyon değiştirici reçine ile metal kaplama durulama banyosu atıksularından Cr(VI) giderimi, XVII. Ulusal Kimya Kongresi, İstanbul Üniviversitesi Kimya Bölümü ve Türkiye Kimya Derneği, 8-11 Eylül 2003, İstanbul, ÇK-S8, 376. Demirbaş E., Kobya M., Şentürk E., Kayısı çekirdeklerinden üretilen aktif karbon üzerine Cr(VI) iyonlarının adsorpsiyonu, XVII. Ulusal Kimya Kongresi, İstanbul Üniviversitesi Kimya Bölümü ve Türkiye Kimya Derneği, 8-11 Eylül 2003, İstanbul, ÇK-S2, 370. Can O.T., Sözbir M., Şentürk E., Bayramoğlu M., Kobya M., Tekstil atıksularının elektrokoagülasyon ile arıtımı, Türkiye ‘de Çevre Kirlenmesi Öncelikleri Sempozyumu-IV, Gebze Yüksek Teknoloji Enstitüsü (GYTE), 9-10 Ekim 2003, Gebze-Kocaeli, 28-32. Şentürk E., Can O.T., Bayramoğlu M., Kobya M., Demir elektrodlar ile tekstil boyalarının elektrokoagülasyonu, Türkiye ‘de Çevre Kirlenmesi Öncelikleri Sempozyumu-IV, Gebze Yüksek Teknoloji Enstitüsü (GYTE), 9-10 Ekim 2003, Gebze-Kocaeli, 423-428. Kobya M., Aslan A., Keskinler E.M., Kocadağıstan M.E, Demircioğlu N., Sulu ortamlardan farklı adsorplayıcılarla fosfat giderimi, 1. Ulusal Çevre Sorunları Sempozyumu, Atatürk Üniversitesi Çevre Sorunları Araştırma Merkezi Müdürlüğü, 18-20 Ekim 2002, Erzurum, 533-536. Can O.T., Bayramoğlu M., Kobya M., Atıksulardan tekstil boyalarının elektrokoagülasyon ile giderilmesi, 1. Ulusal Çevre Sorunları Sempozyumu, Atatürk Üniversitesi Çevre Sorunları Araştırma Merkezi Müdürlüğü, 18-20 Ekim 2002, Erzurum, 631-642. Şimşek H., İnan H., Kobya M., Dimoglo A., Siyanür iyonlarının iyon değiştirme yöntemi ve elektrokimyasal yöntemlerle arıtımı, XVI. 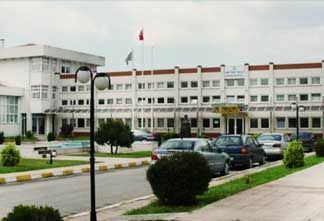 Ulusal Kimya Kongresi, Selçuk Üniversitesi, 10-13 Eylül 2002, Konya, 885. Kobya M., Şimşek H., İyon değiştirici reçine ile siyanür iyonlarının adsorpsiyonu, Ulusal Sanayi-Çevre Sempozyumu ve Sergisi, Mersin Üniversitesi Çevre Mühendisliği Bölümü, 25-27 Nisan 2001, Mersin, 677-686. Kobya M., Dağlı S., Aydiner C., Su ve atıksu arıtımında ultrases prosesinin kullanım potansiyeli, Ulusal Sanayi-Çevre Sempozyumu ve Sergisi, Mersin Üniversitesi Çevre Mühendisliği Bölümü, 25-27 Nisan 2001, Mersin, 687-695. Romanov A., Kobya M., Dimoglu A., Atıksulardaki kolloidal partiküllerin elektroflotokoagülasyonla giderimi, İTÜ 7. Endüstriyel Kirlenme Kontrolü Sempozyumu, İstanbul Teknik Üniversitesi Çevre Mühendisliği Bölümü, 20-22 Eylül 2000, İstanbul, 67-74. Yıldırım Y., Kobya M., Öztürk B., Akış kontrollü bir katalitik inorganik membran reaktörde o-ksilenin tam katalitik yanmasının incelenmesi, İTÜ 7. Endüstriyel Kirlenme Kontrolü Sempozyumu, İstanbul Teknik Üniversitesi, Çevre Mühendisliğ Bölümü,20-22 Eylül 2000, İstanbul, 107-114. Aydiner C., Kobya M., Sıvı membran teknolojisi ile sulu ortamdaki siyanür iyonlarının çift yönlü taşınımı, Türkiye ‘de Çevre Kirlenmesi Öncelikleri Sempozyumu III, Gebze Yüksek Teknoloji Enstitüsü (GYTE)-Tübitak-MAM, 18-19 Kasım 1999, Gebze-Kocaeli, 148-158. Özturk B., Yıldırım Y., Kobya M., Atık gaz arıtımında yeni bir yaklaşım: membran teknolojisi, Türkiye ‘de Çevre Kirlenmesi Öncelikleri Sempozyumu III, Gebze Yüksek Teknoloji Enstitüsü (GYTE)-Tübitak-MAM, 18-19 Kasım 1999, Gebze-Kocaeli, 159-168. Kobya M., Öncel S., Demircioğlu N., Karagözoğlu B., Kırmızı çamur kullanılarak sulu çözeltilerden Zn(II) adsorpsiyonu, Türkiye ‘de Çevre Kirlenmesi Öncelikleri Sempozyumu III, Gebze Yüksek Teknoloji Enstitüsü (GYTE)-Tübitak-MAM, 18-19 Kasım 1999, Gebze-Kocaeli, 416-421. Karpuzcu M., Kobya M., Gezergen Asma S., Tekstil sanayi atıksularının kimyasal çöktürme ile arıtımı, Türkiye ‘de Çevre Kirlenmesi Öncelikleri Sempozyumu III, Gebze Yüksek Teknoloji Enstitüsü (GYTE)-Tübitak-MAM, 18-19 Kasım 1999, Gebze-Kocaeli, 221-225. Dağlı S., Şimşek H., Kobya M, Fosfatlama prosesi atıksularının alum ve kireç ile koagülasyonu, Türkiye ‘de Çevre Kirlenmesi Öncelikleri Sempozyumu III, Gebze Yüksek Teknoloji Enstitüsü (GYTE)-Tübitak-MAM, 18-19 Kasım 1999, Gebze-Kocaeli, 206-212. Kobya M., Demircioğlu N., Yildirim Y., Sıvı membranlar ile tiyosiyanat iyonlarının çift yönlü taşınımı’ Türkiye ‘de Çevre Kirlenmesi Öncelikleri Sempozyumu II, Gebze Yüksek Teknoloji Enstitüsü (GYTE), 22-23 Mayıs 1997, Gebze-Kocaeli, 905-914. Ekinci Z., Kobya M., Kurtbaş A., Demircioğlu N., Bayramoğlu M., Ni2+, Cu2+ ve Zn2+ adsorpsiyonunda kullanılan aktif karbonun üretim optimizasyonu, Türkiye ‘de Çevre Kirlenmesi Öncelikleri Sempozyumu II, Gebze Yüksek Teknoloji Enstitüsü (GYTE), 22-23 Mayıs 1997, Gebze-Kocaeli, 289-297. Saraç H., Kobya İ., Kobya M., Eş zamanlı iç ve dış konveksiyon kütle transferinin incelenmesi’ İkinci Ulusal Kimya Mühendisliği Kongresi (UKMK-2), İstanbul Teknik Üniversitesi, 9-13 Eylül 1996, İstanbul, 425-429. Topçu N., Demircioğlu N., Kobya M., Sıvı-sıvı extraksiyon metodu ile atıksulardan nitrat iyonlarının giderilmesi, 18-20 Eylül, Çevre Sempozyumu, Atatürk Üniversitesi-Çevre Müh. Böl., Erzurum-1995, 67-71. Topçu N., Demircioğlu N., Kobya M., Atıksulardan nitrat giderimi, Yerleşim ve Çevre Sorunları: Çanakkale ili Sempozyumu, 9-13 Eylül, Dokuz Eylül Üniversitesi-Çevre Müh. Böl.-Çanakkale Belediyesi, Çanakkale-1996, 1-12. Kobya M., Bayramoğlu M., Çakıcı A., Demircioğlu N., Biyolojik atıksu arıtmatesisinin ekonomik analizi, I. Ulusal Kimya Mühendisliği Kongresi, Ortadoğu Teknik Üniversitesi, 13-16 Eylül 1994, Ankara, 294-304. Kobya M., Özbay O., Kocadağıstan E., Sığır gübresinden değişik sıcaklıklarda biyogaz üretimi, Enerji ve Çevre Sempozyumu, Mersin Üniversitesi-İçel Çevre İl Müdürlüğü-Türk ısı Bilimi ve Tekniği Derneği, 13-15 Nisan 1994, Mersin, 237-241. Kobya M., Bayramoğlu M., Demircioğlu N., Atık Sulardan adsorpsiyon yöntemi ile fosfor giderilmesi, VIII. Kimya ve Kimya Mühendisliği Sempozyumu (Kimya ’92), Marmara Üniversitesi, 7-11 Eylül1992, İstanbul, 327-331. TÜBİTAK Projesi (Proje No: 111Y103), Elektrokoagülasyon ile sulardan arsenik giderimi: Proses geliştirme ve proses optimizasyonu, Proje Yürütücüsü: Doç.Dr. Mehmet Kobya, Proje Başlangıç Tarihi: 15.07.2012, Proje Bitiş Tarihi: 15.04.2014. Bilimsel Araştırma Projesi (Proje No: 2010-A-21), Yeraltı sularından elektrokoagülasyon prosesi ile arsenik giderimi, Gebze Yüksek Teknoloji Enstitüsü, Proje Yürütücüsü: Doç.Dr. Mehmet Kobya, Proje Başlangıç: 15.06.2010, Proje Bitiş Tarihleri: 15.06.2012. TÜBİTAK Projesi (Proje No: 107M164), Bitkisel Yağ Esaslı Metal İşleme Sıvısının Geliştirilmesi ve Talaşlı İmalatta Uygulaması, Proje Yürütücüsü: Doç.Dr. Babür Özçelik, Proje Başlangıç: 01.09.2007, Proje Bitiş Tarihleri: 0.1.09.2010. TÜBİTAK Projesi (Proje No: 106M255), Fiber optik tabanlı DNA biyosensörlerinin çevre kirliliği ve biyoteröre karşı uygulamalar için geliştirilmesi, Proje Yürütücüsü: Doç.Dr. Yavuz ORAL, Proje Başlangıç: 2006, Proje Bitiş Tarihleri: 2009. TÜBİTAK Projesi (Proje No: 104Y267), Endüstriyel atıksuların arıtılması için elektrokimyasal reaktör geliştirilmesi, Proje Yürütücüsü: Yrd.Doç.Dr. Mehmet Kobya, Proje Başlangıç Tarihi: 2005, Proje Bitiş Tarihi: 2008. TÜBİTAK Projesi (Proje No: 104M411), ZnO ince film fotokatalizör hazırlanması ve endüstriyel atıksu arıtan bilgisayar kontrollü bir fotoreaktör sisteminde test edilmesi, Proje Yürütücüsü: Prof.Dr. Mahmut Bayramoğlu, Proje Başlangıç Tarihi: 2005, Proje Bitiş Tarihi: 2008. Bilimsel Araştırma Projesi (Proje No: 2005-A-05), Endüstriyel atıksulardaki ağır metal iyonlarının aktif karbon ile adsorpsiyonun ayrık yapayağ (Neural fuzzy) yöntemiyle modellenmesi, Gebze Yüksek Teknoloji Enstitüsü, Proje Yürütücüsü: Doç.Dr. Erhan Demirbaş, Başlangıç: Haziran 2005, Proje Bitiş Tarihleri: Haziran 2007. Bilimsel Araştırma Projesi (Proje No: 02-A-03-03-03), Tavuk kesimi ve işleme tesisi atıksularının elektrokimyasal arıtımı, Gebze Yüksek Teknoloji Enstitüsü, Proje Yürütücüsü: Yrd.Doç.Dr. Mehmet Kobya, 2004. Bilimsel Araştırma Projesi (Proje No: 99-A-03-05-10), Sonokimya ile tekstil atıksularının oksidasyonu ve arıtımı, Gebze Yüksek Teknoloji Enstitüsü, Proje Yürütücüsü: Yrd.Doç.Dr. Mehmet Kobya, 2000. Bilimsel Araştırma Projesi (Proje No: 98-A-03-05-08), Sıvı membranlar İle atıksulardan ağır metallerin geri kazanılması, Gebze Yüksek Teknoloji Enstitüsü, Proje Yürütücüsü: Yrd.Doç.Dr. Mehmet Kobya, 1999. Bilimsel Araştırma Projesi, Sulu ortamdan siyanür ve rodanür iyonlarının sono kimyasal parçalanma kinetiği, Atatürk Üniversitesi, Proje Yürütücüsü: Prof.Dr. Mahmut Bayramoğlu, 1997. 1999, Aydiner Ç., Sıvı membran teknolojisi ile sulu ortamda siyanür iyonlarının taşınım kinetiği, Yüksek Lisans Tezi, Gebze Yüksek Teknoloji Enstitüsü, Mühendislik ve Fen Bilimleri Enstitüsü, Çevre Mühendisliği Anabilim Dalı, Gebze-Kocaeli, YÖK Tez no. 84057, s. 110. 2000, Topal O.,Ergene Nehri'nin kirlilik durumunun incelenmesi, Yüksek Lisans Tezi, Gebze Yüksek Teknoloji Enstitüsü, Mühendislik ve Fen Bilimleri Enstitüsü, Çevre Mühendisliği Anabilim Dalı, Gebze-Kocaeli, YÖK Tez no. 98270, s. 80. 2001, Gül T., Fındık kabuklarından üretilen aktif karbon ile metal kaplama atıksularından bakır adsorbsiyonu, Yüksek Lisans Tezi, Gebze Yüksek Teknoloji Enstitüsü, Mühendislik ve Fen Bilimleri Enstitüsü, Çevre Mühendisliği Anabilim Dalı, Gebze-Kocaeli, YÖK Tez no. 109945, s. 140. 2001, Terzioğlu M., Fosfatlama prosesi atıksularının koagülasyonu ve koagülasyon çamurlarının vakum filtrasyonu, Yüksek Lisans Tezi, Gebze Yüksek Teknoloji Enstitüsü, Mühendislik ve Fen Bilimleri Enstitüsü, Çevre Mühendisliği Anabilim Dalı, Gebze-Kocaeli, YÖK Tez no. 109914, s. 103. 2001, Şimşek H., İyon değiştirici reçine ile siyanür giderimi, Yüksek Lisans Tezi, Gebze Yüksek Teknoloji Enstitüsü, Mühendislik ve Fen Bilimleri Enstitüsü, Çevre Mühendisliği Anabilim Dalı, Gebze-Kocaeli, YÖK Tez no. 109917, s. 93. 2001, Şencan S., Düşük maliyetli adsorbentler ile nikel iyonu giderimi, Yüksek Lisans Tezi, Gebze Yüksek Teknoloji Enstitüsü, Mühendislik ve Fen Bilimleri Enstitüsü, Çevre Mühendisliği Anabilim Dalı, Gebze-Kocaeli, YÖK Tez no. 109920, s. 196. 2001, Yıldırım E., Meriç-Arda-Tunca nehirlerinin kirlilik durumlarının incelenmesi, Yüksek Lisans Tezi, Gebze Yüksek Teknoloji Enstitüsü, Mühendislik ve Fen Bilimleri Enstitüsü, Çevre Mühendisliği Anabilim Dalı, Gebze-Kocaeli, YÖK Tez no. 109912, s. 83. 2001, Torlak T., Batarya atıklarının geri kazanım prosesleri ve akü üretim atıksularından kurşun giderimi, Yüksek Lisans Tezi, Gebze Yüksek Teknoloji Enstitüsü, Mühendislik ve Fen Bilimleri Enstitüsü, Çevre Mühendisliği Anabilim Dalı, Gebze-Kocaeli, YÖK Tez no. 109915, s. 123. 2002, Can O.T., Alüminyum elektrotlar kullanılarak tekstil atık suyu ve boyalarının elektrokoagülasyon ile arıtımı, Yüksek Lisans Tezi, Gebze Yüksek Teknoloji Enstitüsü, Mühendislik ve Fen Bilimleri Enstitüsü, Çevre Mühendisliği Anabilim Dalı, Gebze-Kocaeli, YÖK Tez no. 121304, s. 122. 2002, Sözbir M., Demir elektrotlar kullanılarak tekstil atık suyu ve boyalarının elektrokoagülasyon ile arıtımı, Yüksek Lisans Tezi, Gebze Yüksek Teknoloji Enstitüsü, Mühendislik ve Fen Bilimleri Enstitüsü, Çevre Mühendisliği Anabilim Dalı, Gebze-Kocaeli, YÖK Tez no. 121312, s. 122. 2002, Hanecio L., İyon değiştirici reçine ile metal kaplama durulama banyosu atık sularından Cr (VI) giderimi, Yüksek Lisans Tezi, Gebze Yüksek Teknoloji Enstitüsü, Mühendislik ve Fen Bilimleri Enstitüsü, Çevre Mühendisliği Anabilim Dalı, Gebze-Kocaeli, YÖK Tez no. 121311, s. 80. 2003, Özgürses T.M., Elektrokoagülasyon ile reaktif tekstil boya çözeltilerinin arıtımı, Yüksek Lisans Tezi, Gebze Yüksek Teknoloji Enstitüsü, Mühendislik ve Fen Bilimleri Enstitüsü, Çevre Mühendisliği Anabilim Dalı, Gebze-Kocaeli, YÖK Tez no. 134352, s. 130. 2003, Uygun R., Demir ve alüminyum elektrotlar kulanılarak tekstil boyalarının elektrokoagülasyon ile arıtımı, Yüksek Lisans Tezi, Gebze Yüksek Teknoloji Enstitüsü, Mühendislik ve Fen Bilimleri Enstitüsü, Çevre Mühendisliği Anabilim Dalı, Gebze-Kocaeli, YÖK Tez no. 134326, s. 122. 2004, Şentürk E., Dispers tekstil boyalarının elektrokoagülasyon ile giderimi, Yüksek Lisans Tezi, Gebze Yüksek Teknoloji Enstitüsü, Mühendislik ve Fen Bilimleri Enstitüsü, Çevre Mühendisliği Anabilim Dalı, Gebze-Kocaeli, YÖK Tez no. 150282, s. 129. 2006, Eyvaz M., Farklı demir ve alüminyum elektrot bağlantıları ile tekstil atıksularının elektrokoagülasyonu, Yüksek Lisans Tezi, Gebze Yüksek Teknoloji Enstitüsü, Mühendislik ve Fen Bilimleri Enstitüsü, Çevre Mühendisliği Anabilim Dalı, Gebze-Kocaeli, YÖK Tez no. 163448, s. 189. 2006, Şanlı N., Deri sanayi atıksularının kimyasal koagülasyon ve elektrokoagülasyon ile arıtımı, Yüksek Lisans Tezi, Gebze Yüksek Teknoloji Enstitüsü, Mühendislik ve Fen Bilimleri Enstitüsü, Çevre Mühendisliği Anabilim Dalı, Gebze-Kocaeli, YÖK Tez no. 199653, s. 112. 2007, Çiftçi Ç., Metal kesme atıksularının koagülasyon ve elektrokoagülasyon ile arıtımı, Yüksek Lisans Tezi, Gebze Yüksek Teknoloji Enstitüsü, Mühendislik ve Fen Bilimleri Enstitüsü, Çevre Mühendisliği Anabilim Dalı, Gebze-Kocaeli, YÖK Tez no. 199639, s. 97. 2007, Delipınar Ş., Maya endüstrisi atıksularının elektrokoagülasyon ve kimyasal koagülasyon ile arıtımı, Yüksek Lisans Tezi, Gebze Yüksek Teknoloji Enstitüsü, Mühendislik ve Fen Bilimleri Enstitüsü, Çevre Mühendisliği Anabilim Dalı, Gebze-Kocaeli, YÖK Tez no. 199647, s. 103. 2008, Dedeli A., Fosfatlama banyosu atıksularının elektrokimyasal arıtımı, Yüksek Lisans Tezi, Gebze Yüksek Teknoloji Enstitüsü, Mühendislik ve Fen Bilimleri Enstitüsü, Çevre Mühendisliği Anabilim Dalı, Gebze-Kocaeli, YÖK Tez no. 179264, s. 131. 2008, Uzun Parlak N., Metal kaplama prosesi durulama banyo atık sularının elektrokoagülasyon ile arıtımı, Yüksek Lisans Tezi, Gebze Yüksek Teknoloji Enstitüsü, Mühendislik ve Fen Bilimleri Enstitüsü, Çevre Mühendisliği Anabilim Dalı, Gebze-Kocaeli, YÖK Tez no. 179257, s. 177. 2008, Yiğit S., Nikel-siyanür metal kaplama işlemi durulama banyo atık sularının elektrokimyasal arıtımı, Yüksek Lisans Tezi, Gebze Yüksek Teknoloji Enstitüsü, Mühendislik ve Fen Bilimleri Enstitüsü, Çevre Mühendisliği Anabilim Dalı, Gebze-Kocaeli, YÖK Tez no. 179283, s. 165. 2008, Şensoy M.T., Sürekli akış kontrollü bir elektrokoagülasyon prosesi ile tekstil atık sularının arıtımı, Yüksek Lisans Tezi, Gebze Yüksek Teknoloji Enstitüsü, Mühendislik ve Fen Bilimleri Enstitüsü, Çevre Mühendisliği Anabilim Dalı, Gebze-Kocaeli, YÖK Tez no. 179232, s. 86. 2009, Koğan S., İlaç endüstrisi atıksularının elektrokimyasal metod ile arıtımı, Yüksek Lisans Tezi, Gebze Yüksek Teknoloji Enstitüsü, Mühendislik ve Fen Bilimleri Enstitüsü, Çevre Mühendisliği Anabilim Dalı, Gebze-Kocaeli, YÖK Tez no. 245281, s. 134. 2009, Ekici H.M., Akü üretimi atık sularının elektro kimyasal metodla arıtılması, Yüksek Lisans Tezi, Gebze Yüksek Teknoloji Enstitüsü, Mühendislik ve Fen Bilimleri Enstitüsü, Çevre Mühendisliği Anabilim Dalı, Gebze-Kocaeli, YÖK Tez no. 245280, s. 89. 2009, Şahin O., Fenol içeren atıksuların elektrokimyasal metot ile arıtımı, Yüksek Lisans Tezi, Gebze Yüksek Teknoloji Enstitüsü, Mühendislik ve Fen Bilimleri Enstitüsü, Çevre Mühendisliği Anabilim Dalı, Gebze-Kocaeli, YÖK Tez no. 238646, s. 121. 2010, Ulu F., İçme sularından aluminyum elektrotlar kullanılarak elektrokoagülasyon ile arsenik giderimi, Yüksek Lisans Tezi, Gebze Yüksek Teknoloji Enstitüsü, Mühendislik ve Fen Bilimleri Enstitüsü, Çevre Mühendisliği Anabilim Dalı, Gebze-Kocaeli, YÖK Tez no. 252981, s. 136. 2010, Geboloğlu U., Elektrokimyasal atıksu arıtım prosesi ile arsenik giderimi, Yüksek Lisans Tezi, Gebze Yüksek Teknoloji Enstitüsü, Mühendislik ve Fen Bilimleri Enstitüsü, Çevre Mühendisliği Anabilim Dalı, Gebze-Kocaeli, YÖK Tez no. 271504, s. 178. 2012, Tavacı B., Patlayıcı endüstrisi atıksularının anaerobik arıtılabilirliğinin incelenmesi, Yüksek Lisans Tezi, Gebze Yüksek Teknoloji Enstitüsü, Mühendislik ve Fen Bilimleri Enstitüsü, Çevre Mühendisliği Anabilim Dalı, Gebze-Kocaeli, YÖK Tez no. 313040, s. 135. 2012, Topaloğlu A.K., Patates işleme endüstrisi atıksularının termofilik püsürtme çevrimli membran biyoreaktörle arıtımı, Yüksek Lisans Tezi, Gebze Yüksek Teknoloji Enstitüsü, Mühendislik ve Fen Bilimleri Enstitüsü, Çevre Mühendisliği Anabilim Dalı, Gebze-Kocaeli, YÖK Tez no. 313042, s. 83. 2013, Sırtbaş G., Alkali ve asidik çinko kaplama atıksularının elektrokimyasal arıtımı, Yüksek Lisans Tezi, Gebze Yüksek Teknoloji Enstitüsü, Mühendislik ve Fen Bilimleri Enstitüsü, Çevre Mühendisliği Anabilim Dalı, Gebze-Kocaeli, YÖK Tez no. 341431, s. 93. 2013, Cebeci M., Yeraltı sularından arsenik giderimi üzerine bazı iyonların etkisi, Yüksek Lisans Tezi, Gebze Yüksek Teknoloji Enstitüsü, Mühendislik ve Fen Bilimleri Enstitüsü, Çevre Mühendisliği Anabilim Dalı, Gebze-Kocaeli, YÖK Tez no. 341439, s. 129. 2015, Gören A.Y., Alüminyum bilye anodların kullanıldığı elektrokoagülasyon reaktörü ile yeraltı sularından As(III) ve As(V) giderim prosesinin modellenmesi ve optimizasyonu, Yüksek Lisans Tezi, Gebze Teknik Üniversitesi, Mühendislik ve Fen Bilimleri Enstitüsü, Çevre Mühendisliği Anabilim Dalı, Gebze-Kocaeli, YÖK Tez no. 389470, s.185. 2012, Gengeç E., Melanoidin ve melanoidin içeren maya endüstrisi atıksularının elektrokimyasal arıtımı, Doktora Tezi, Gebze Yüksek Teknoloji Enstitüsü, Mühendislik ve Fen Bilimleri Enstitüsü, Çevre Mühendisliği Anabilim Dalı, Gebze-Kocaeli, YÖK Tez no. 313051, s. 169. 2015, Şık E., Demir bilya anot elektrotlar kullanarak elektrokoagülasyon prosesi ile içme sularından arsenic giderimi, Gebze Teknik Üniversitesi, Mühendislik ve Fen Bilimleri Enstitüsü, Kimya Anabilim Dalı, Gebze-Kocaeli, YÖK Tez no. 405392, s. 353 (Tez danışmanı: Prof.Dr. Erhan Demirbaş, Tez eş danışmanı: Prof.Dr. Mehmet Kobya). 2016, Ulu F., Optimization of removal of humic substances from surface water by electrocoagulation, Doctoral Thesis, Gebze Technical University, Graduate School of Natural and Applied Sciences, Environmental Engineering, Gebze-Kocaeli, YÖK Thesis number. ? ?, s.??. Kobya M., (1992), Sığır gübresinden biyogaz üretimi ve Erzurum koşulları için bir biyogaz tesis tasarımı, Yüksek Lisans Tezi, Atatürk Üniversitesi, Çevre Müh. Ana Bilim Dalı, Erzurum, Tez Danışmanı: Prof.Dr. Orhan ÖZBAY. Kobya M., (1996), Sıvı membranlar ile sulu ortamdan tiyosiyanat iyonlarının taşınım kinetiği, Doktora Tezi, Atatürk Üniversitesi, Çevre Müh. AnaBilim Dalı, Erzurum, Tez Danışmanı: Prof.Dr. Nazmi TOPÇU.